In the past decade, the Internet has dramatically changed the way software and the corresponding licenses are delivered. As we know, the days of the CD ROM installation are long gone. Consumers today expect the software to be delivered electronically in a quick, hassle-free process as well as the license, whether it is delivered on a hardware-based security dongle, a computer-bound software container, a user-specific cloud vessel, or via a server in the LAN or WAN. How well the ISV implements these electronic delivery processes can have a major impact on the relationship with the customer. 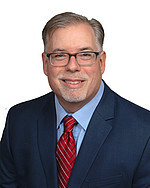 One error or misstep during license delivery can quickly alienate a customer and damage the vendor’s reputation. Today, end users are familiar and comfortable in using an e-commerce system to buy licenses online and receive the licenses automatically in the form of an activation code. In the enterprise, the order can be captured by SAP or a similar ERP system and the license is created automatically in the system. Some ISVs have taken the concept a step further by creating a Web portal that allows users to see and manage the licenses they own themselves. Such a self-service systems allows the user to handle all licensing concerns quickly and easily without having to involve their help desk. From the ISVs perspective, it is important that they have full control of how the licenses are used over the complete lifecycle of the software and have the flexibility for online and offline delivery with capabilities for easy license transfers and automatic updates. They also need to support multiple hosting options so they are prepared to meet changing consumer demands. Modern license management systems are available for ISVs to simplify the creation, delivery, and management of software licenses. 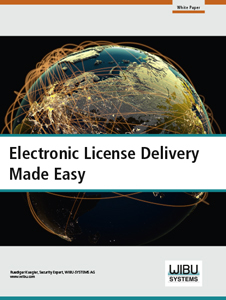 Download our whitepaper, Electronic License Delivery Made Easy, and understand the basic principles of electronic licensing automation and the key criteria for selecting a robust license management system that will satisfy ISVs and their customers.